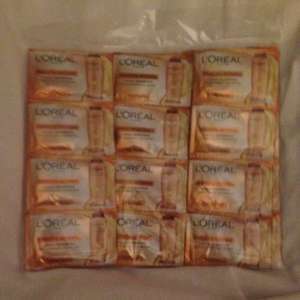 L'oréal shampoo sachets x24 at 99p stores nationwide plus 3 for 2 offer! L'oréal smooth intense shampoo sachets. 24 x 10mls individual sachets available at 99p stores nationwide plus 3 for 2 offer! Great for travels as avoids horrible bottles spillages! you probably need to use all sachets in one go! We took some to Turkey for a week, worked out a treat. My wife didn't use more than 2 sachets at a time, and she has really thick shoulder length hair, I only needed 1. Will definitely get more for next year. These were about last year but haven't seen them in a while ideal for hand luggage and I got two washes out of 1 shampoo with shoulder length hair very thick shampoo. Will keep my eye out ta. Great for holidays, just wish I could find the conditioners! Really good for taking swimming/to the gym too! Hot.